If you want to buy a property in one of the most popular cities of the Costa Blanca South (Spain), our estate agent in Torrevieja offer you the possibility of it. Our real estate agency has a wide catalog of properties in Torrevieja so you can choose the one you like the most and in this way, fulfill your dreams and those of your family. Summer has already started, but you're still in time to enjoy this season of the year with Casas Espania to the fullest. Become your new city on vacation or your next destination for your retirement. Torrevieja is a very welcoming city where many tourists who prove their qualities, end up staying here. Thanks to all the characteristics of Torrevieja, it will not be difficult to decide for this magnificent place. Shopping centers, pristine beaches, restaurants near the sea, water attractions and much more. Our estate agent in Torrevieja offer you more than 100 properties for sale in Torrevieja, so that it does not cost you to settle for the Costa Blanca as your new retirement or retirement retreat. You can say buy a second-hand or new-build home. An apartment or a bungalow. A commercial space for rent or for sale. A duplex or a farm. A plot or a townhouse or villa. As you can see there are many possibilities offered by our inomobiliaria to our clients so that you can hit right with their new home. Our homes are of quality and many of them are modern, so they offer qualities and materials adapted to the last years. Also, our real estate agents offer you the possibility to choose your new home with pool and garden. So you can start enjoying the great weather that makes in Torrevieja, refreshing or sunbathing. 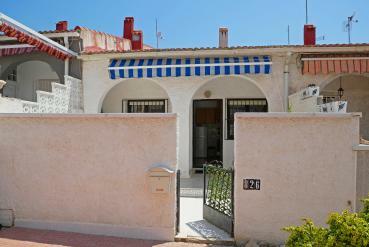 If you want to start living in one of our properties for sale, get in touch with our estate agents in Torrevieja. We are waiting for you in Calle Bizet Shopping Center, Local 6 La Siesta - 03184 Torrevieja (Alicante). You can also contact them via Telefonica, by calling 0034 966 785 202 or by sending an email to our email: info@casasespania.com. If you want to enjoy your holidays, do not hesitate to contact us.